Kate Moss' collection for Topshop is inspired by pieces from her own wardrobe. 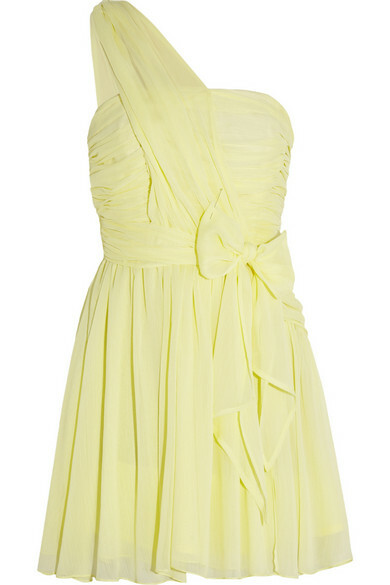 Perfect for weddings and summer events, this lightweight chiffon dress is ruched and features a boned bodice for subtle shaping and support. 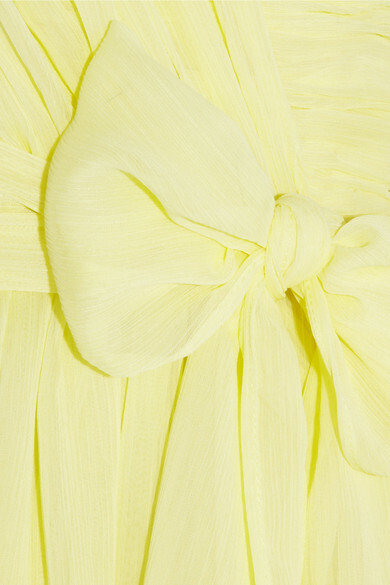 The lemon hue looks great against sun-kissed skin. Shown here with: Jennifer Fisher earrings and ring, IRO jacket, Eddie Borgo bracelet and bracelet, Tabitha Simmons shoes, Christian Louboutin bag.